DSS arrests Former Benue Governor, Suswam over state’s security issue – Royal Times of Nigeria. 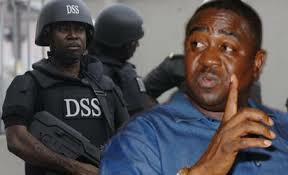 Former governor of Benue State, Mr. Gabriel Suswam, has been arrested by Department of State Service, DSS, over an alleged connection with the killings in the state. Report gathered that he was invited by the agency on Tuesday over a petition by a high ranking politician, alleging that he was habouring Mr. Terwase Akwaza, also known as ‘Ghana’. Police had declared Akwaza wanted, following the killing of about 17 people in Zaki Biam, Benue State, in March last year. He had also been alleged to be part of those behind incessant killings in many Benue villages. It was gathered that working on the petition by the top politician, the DSS, which had arrested Suswam in February last year, placed him on a closer watch until he was invited on Tuesday and had since been held in custody. 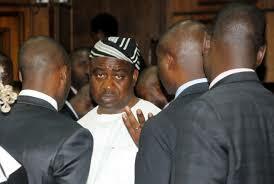 Suswam’s lawyer, Joseph Daudu (SAN), it was learned, went to the DSS office to see him, yesterday, but was not allowed access. When he was arrested last year, the DSS said arms and ammunition and other incriminating items were recovered in some exotic cars in a complex which it claimed belonged to the former governor.